Marriagevisahelp.com is a full-service immigration consulting firm specialising in family-based immigration with an emphasis on fiancee, spousal and partner visas. From offices in the United States, Australia and Europe, our consultants provide clients with a breadth and depth of expertise uniquely suited to their individual immigration needs. We are committed to providing the highest quality services in an efficient and cost-effective manner and have developed a strong reputation in our field of expertise by successfully serving clients around the world. We offer professional help based on years of experience and a thorough understanding of complex immigration laws and regulations. Our senior immigration consultants have over 30 years of combined experience handling family visa applications. Our consultants are MARA (Australia), IAA (New Zealand) and OISC (UK) registered, which authorises them to provide legal advice and represent clients in their country of specialisation. We are proud of the high ethical standards that have been established by our firm and the tradition of excellence which we work to maintain. 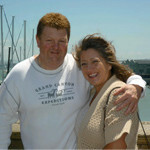 At Marriagevisahelp.com, delivering exceptional service to all clients is among our highest priorities. All our consultants are well-trained on and understand the principles of exceptional client service. We employ multilingual assistants who are able to provide country-specific services. They speak Spanish, Chinese, Thai, Tagalog, Japanese and Russian and are trained to effectively prepare our clients for their fiancee, marriage and partner visa interviews in their locale. We believe that each client deserves the highest level of care, commitment, and unwavering diligence. We also understand the emotional aspect of visa applications and how much a positive outcome means to you and your family. When you choose our firm to handle your fiancee, spouse or partner visa application, you can rest assured that your case is in qualified hands. You will receive professional support from people who genuinely care about you, your loved one, and the outcome of your case. We offer a FREE no-obligation consultation for family immigration matters. This initial consultation with one of our professionals will allow you to develop a complete understanding of visa options available to you. Our preliminary assessment of your needs and goals is designed to help you determine the best strategy for your specific case and avoid potential complications and unnecessary delays in the processing of your application. We suggest that you call our office for a free immediate consultation, complete one of our assessment forms to receive a reply within 24 hours, or make an appointment to meet with one of our consultants.